As a trusted leader in the restoration industry, SERVPRO of Northern Sussex County provides 24-hour residential and commercial restoration services for Water, Fire, Mold, and Storm Damage. In addition, we are also a full service Residential and Commercial Cleaning Company that specializes in Whole House Cleaning, Residential and Commercial Carpet Cleaning, Floor Cleaning, Smoke and Soot Cleaning, Post Construction Clean-up, Air Duct Cleaning, Ceiling and Wall Cleaning, Bio-Hazard Clean-up, Sewage Clean-up, Odor Removal, Vandalism Cleaning, and Graffiti Removal. If needed, we can also arrange pack-out services and warehouse storage for the care and restoration of your personal belongings, and will provide Building and Reconstruction Services when required. 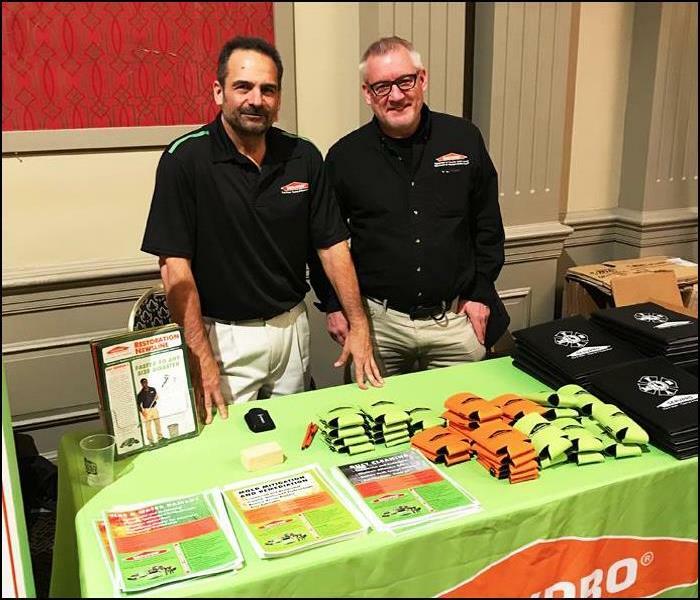 SERVPRO of Northern Sussex County has been a leader in providing services to our residential customers and many local Office and Retail Businesses, Schools, Libraries, Churches, Hospitals, and Hotels in our community. As a locally owned and operating business since 1978, our professional office staff and technicians are dedicated to being faster to any size disaster, with the training, equipment, and expertise to handle your restoration and cleaning needs. We live and work in this community too; we might even be neighbors. As a locally owned and operated business, SERVPRO of Northern Sussex County is close by and ready to respond to your cleaning or restoration needs. We are proud to be an active member of the Vernon, NJ community and want to do our part to make our community the best it can be.